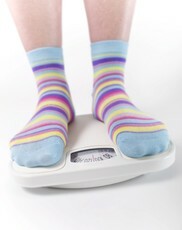 As children’s waistlines continue to grow, so have concerns about childhood obesity. According to a report released today by the University of Michigan C.S. Mott Children’s Hospital National Poll on Children’s Health, childhood obesity is now the No. 1 health concern for kids in 2008, topping smoking and drug abuse. In 2007, childhood obesity ranked third among parents’ top 10 overall health concerns for kids. The National Poll on Children’s Health, which asked adults to rate 20 different health problems for children living in their communities, reveals that bullying also now ranks among the public’s top concerns for children’s health, ahead of teen pregnancy and alcohol abuse. Other new topics added to this year’s list are Attention Deficit/Hyperactivity Disorder and environmental toxins. Also making the public’s overall list of top 10 health concerns for kids in 2008: Internet safety, abuse and neglect, sexually transmitted infections, and lack of opportunities for physical activity for kids. The top 10 health concerns for 2007 that did not make this year’s list: Motor vehicle accidents and school violence. 1. Childhood obesity. Thirty-five percent of adults ranked childhood obesity as their top overall health concern for children. In 2007, it was ranked No. 3. Although other research has shown that Hispanic youth are at greater risk for obesity, this problem was rated lower by Hispanic adults than white adults and black adults. 2. Drug abuse. Drug abuse is viewed as a bigger health concern among Hispanic adults (50 percent) than white adults (29 percent) and black (35 percent) adults. It also was more likely to be listed as a top health concern among adults with lower incomes. 3. Smoking. Ranked No. 1 in 2007, smoking now holds the No. 3 position in 2008, with 32 percent of U.S. adults rating it as a major overall health concern. Among Hispanic adults, however, smoking is still rated as the No. 1 health concern for kids (52 percent). 4. Bullying. New to this year’s list, bullying was rated highly by both adults with and without children in their homes. Adults from middle-income households were more likely than adults with lower-income or higher-income households to rate bullying as big problem. 5. Internet safety. Adults with household incomes of $100,000 or more per year were more likely to view Internet safety as a big problem for children in their community. Overall, 27 percent of adults polled rated Internet safety as big health concern for kids. 6. Child abuse and neglect. This issue, which was ranked No. 10 in 2007, was rated as a top health concern for kids among 25 percent of adults polled. 7. Teen pregnancy. Black adults continue to rate teen pregnancy as the top health concern for youth in their community, with 35 percent reporting it’s a major health concern compared with only 21 percent of white adults and 33 percent of Hispanic adults. 8. Alcohol abuse. For the 2008 poll, 23 percent of adults listed alcohol abuse as a health concern for kids. In 2007, alcohol abuse was ranked fourth overall. 9 (tie). Attention Deficit/Hyperactivity Disorder. AD/HD, also new to this year’s list, was a much greater concern among adults with low-income households than adults with middle-income and high-income households. Overall, 21 percent of adults polled rated it as a health concern for kids. Sexually transmitted infection. Sexually transmitted infections among youths continue to be considered a big problem affecting children’s health, with 21 percent of adults rating it as a top health concern. This issue also was ranked ninth in 2007. 10 (tie). Chemicals in the environment. The issue of environmental toxins was added to this year’s list, largely due to concerns among Hispanic adults and adults with low-income households. More than 30 percent of Hispanic adults and 25 percent of adults in the lowest income group felt environmental toxins in their communities pose a threat to children’s health. Not enough opportunities for physical activity. “Having this issue among the 2008 top 10 health concerns underscores the importance placed on childhood obesity as a major problem in adults’ minds,” notes Davis. Nineteen percent of adults rated this issue as a top health concern. Issues that did not rank among the top 10 overall health concerns, but were included in the National Poll on Children’s Health include: driving accidents, depression, asthma, eating disorders, neighborhood safety, school violence, autism and suicide. The National Poll on Children’s Health also found that adults who did not have children in their households were more likely than parents to list drug abuse, smoking and tobacco use, Internet safety, and sexually transmitted infections as top health concerns. Additionally, adults from low-income households (less than $30,000 per year) viewed drug abuse, smoking and tobacco use, and teen pregnancy as the biggest health concerns for kids. Adults, however, with higher household incomes (more than $100,000 per year) were more likely to rate obesity, Internet safety and drug abuse as major issues. For its report, the National Poll on Children’s Health used data from a national online survey conducted in April 2008 in collaboration with Knowledge Networks Inc. The survey was administered to a random sample of 2,064 adults, ages 18 and older, who are a part of Knowledge Network’s online KnowledgePanelSM. The sample was subsequently weighted to reflect U.S. population figures from the U.S. Census Bureau. About three-fourths of the sample were households with children. For the complete report and podcast about poll results, visit the C.S. Mott Children’s Hospital National Poll on Children’s Health online at http://www.med.umich.edu/mott/npch.